I actually did this custom project a few weeks ago but with all the hustle and bustle December has brought, I never got to sharing it. 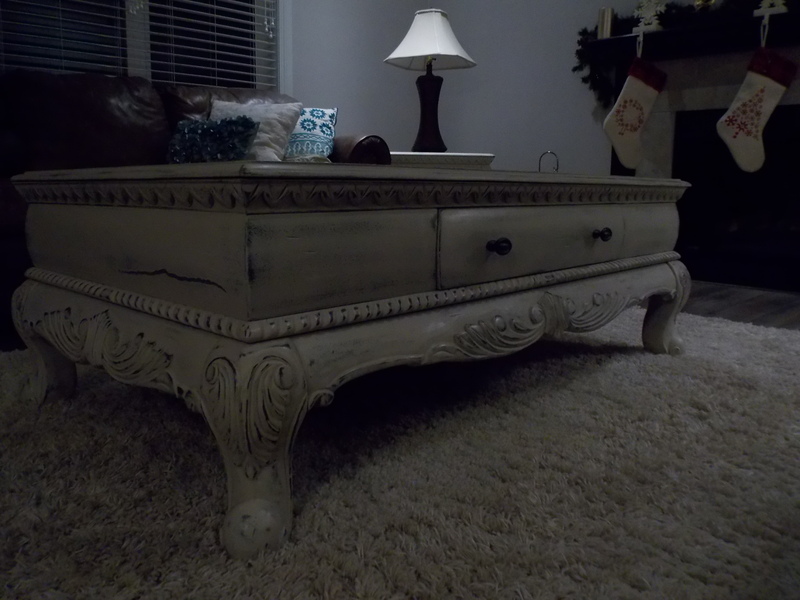 This project is a beautiful set of a coffee table and 2 end tables. 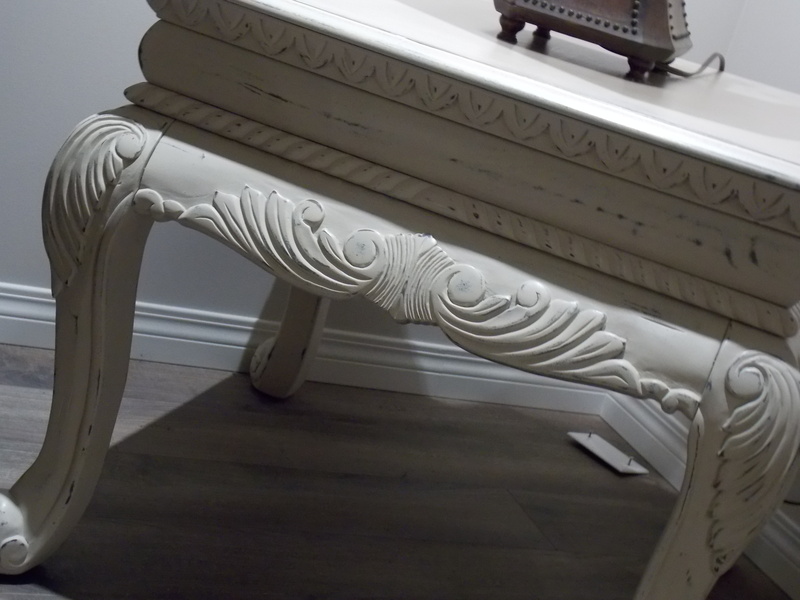 The carved details on them are so pretty, they aren’t your average tables at all with all their curves and carvings. I had heard of fossil paint and when I came across some on a trip to Calgary I just had to try it out. 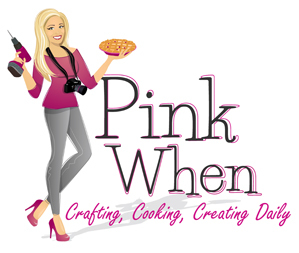 I usually use chalk paint or milk paint and love the brands I use. I always wondered if all chalk paints were the same and what the difference between the brands were. This was my opportunity to test this curiosity. For this project I ended up using 3 different colors. 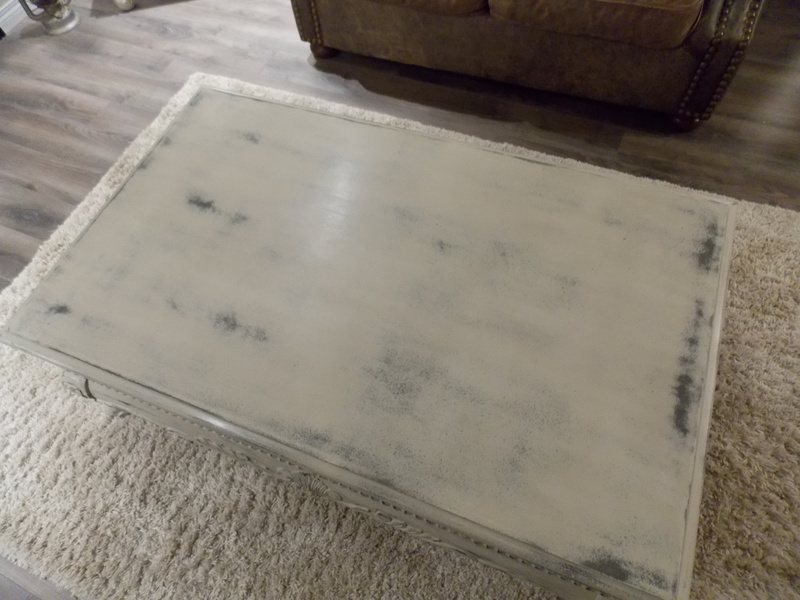 Two colors were from the usual chalk paint line I use and the final top coat was from the Van Gogh Fossil paint line. The reason I used a bit of both paints was that I had only purchased 1 can of the fossil paint just in case I didn’t like it. 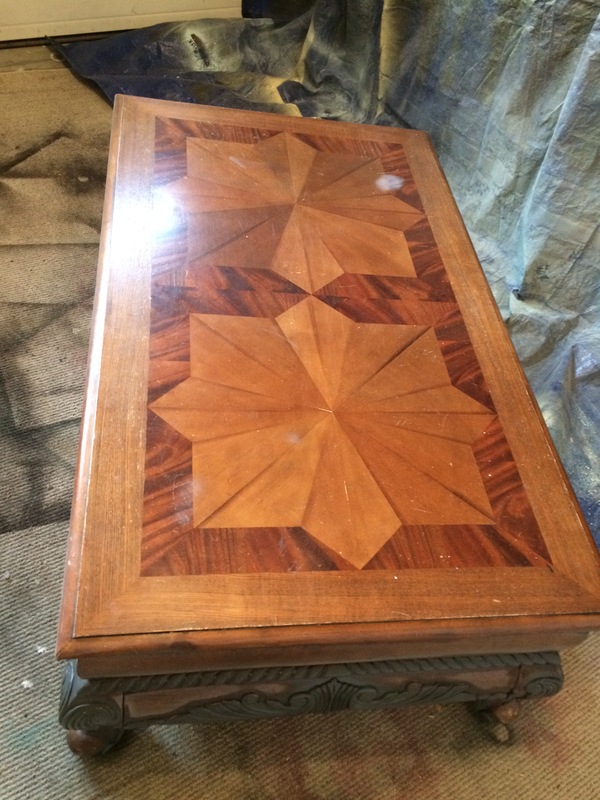 This is the coffee table before… It is in beautiful shape as is but the owner wanted more of a shabby distressed look. She has had these for quite a few years and just wanted to give them a new look since they just moved into a beautiful new home. 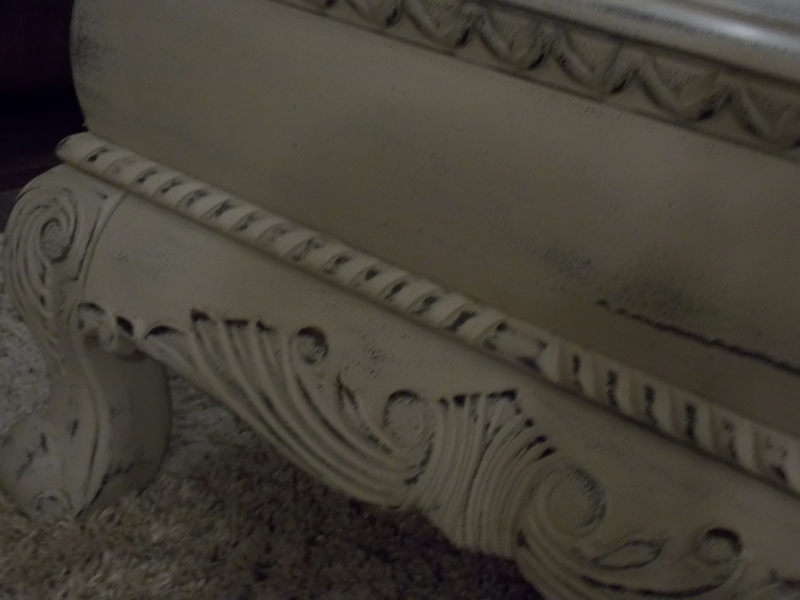 After a light sanding I started by spraying on a dark shade of grey in chalk paint (ACP) just on the carvings of each table and their legs. After that dried I sprayed on a layer of the color Limoge (ACP) over the entire piece. It is a lighter beige color. 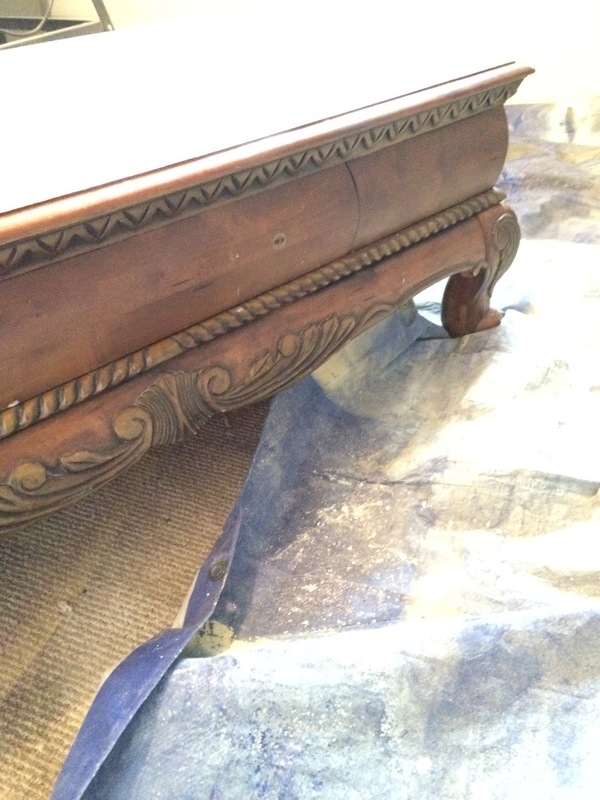 Once it dried I sanded the whole piece and distressed it to let the dark base color on the carvings show through. Because it dried a lighter color than I’d expected I sprayed it all again with the Fossil paint in the color Cashmere. This is a beautiful warm toned white. After much more sanding to smooth everything out and distress the paint, I waxed all three pieces with soft clear wax by Miss Mustard Seed. My arms were jello by the time it was all buffed but the results were beautiful. I was unable to get the photos of it that I was hoping for as my camera batteries died but I did manage to get a few… Sorry for the poor lighting and quality. 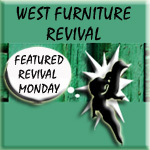 Thank you Yvonne for allowing me to give your furniture a new look! I had so much fun with it! Maybe I will sneak back over one day to get the proper photos that these pretty tables deserve. 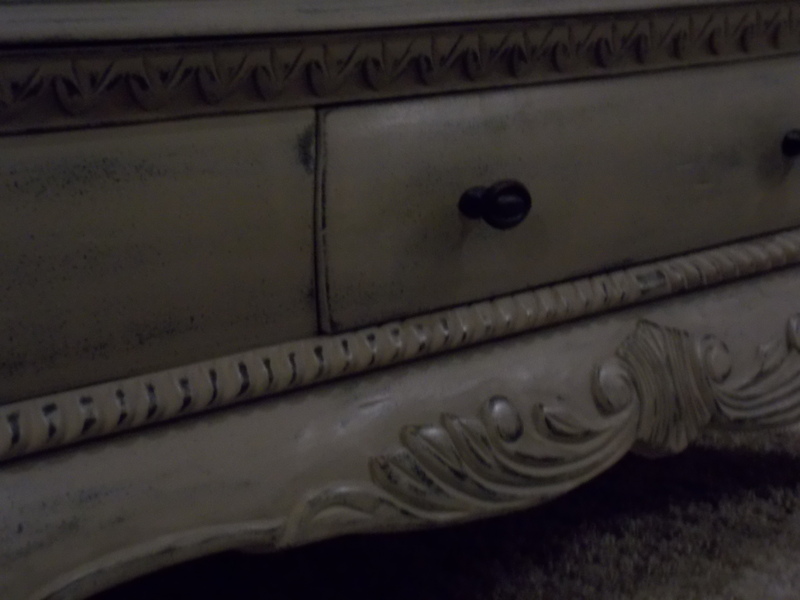 So in the end I found the fossil paint to be a little “softer” than the American Chalk Paint Co. brand. By “soft” I mean that when sanding it I found that it clogged up my sand paper very quickly. The ACP brand feels to have a harder finish in the end before finishing it with wax or poly top coat. I’m sure that both are very durable paints but I do prefer the ACP brand … mostly because it’s what I’m used to and all I know. Maybe I’ll come across some Annie Sloan chalk paint some time or even the new Fusion paint by the same makers of Miss Mustard Seed’s Milk paint. For now, availability of these paints without special ordering them is limited so I will be sticking with what I know. So pretty. I think that this is one of the prettiest that I have seen of your pieces. Can’t await to see what you do with the end tables. Merry Christmas and a prosperous, heathy New Year. Thank you Pamela! I hope you have a very Merry Christmas as well! Richest blessings to you in the New Year! Did you ever here something back from homestead house. As you know I went to the Fusion retailer training.After that I made the decision not to carry the paint line yet. It’s an awesome paint too but I don’t think another paint line is nesasary yet. The good thing with fusion it has a build in topcoat but if you start distressing it still needsa protective coat.I find its a cool paint if you use a lot of stencils and no distressing at all. And it’s a really good paint for kitchencupboards. It’s a good paint but my gut feeling said no. Thanks for the info about Fusion. It’s nice to hear what someone who has tried it has experienced. 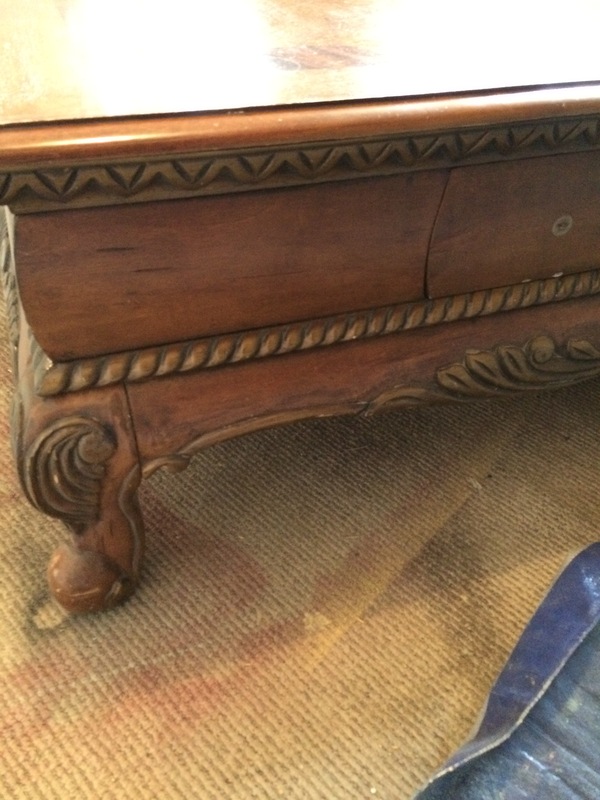 I’d still love to try it though as not all pieces of furniture are meant to be distressed. It would be awesome to try it on kitchen cupboards for sure and I think I may have some to try it on in the New Year :) … Crossing my fingers still for the sale of our house! Thank you for the MMS look book, I love it! Richest Blessings to you and your family this Christmas Manja! Thank you! I wish I had better photos to share, it looks waaaay better than in the pics!